The way in which the two windings of a split-phase motor produce a rotating magnetic field is illustrated in Ill. 44 and can be summarized as follows. 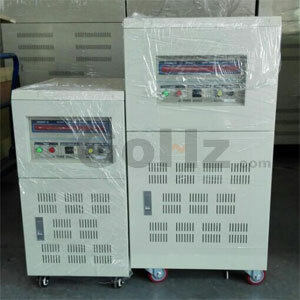 When AC line voltage is applied, the current in the starting winding leads the current in the running winding by approximately 45 electrical degrees. Since the magnetism produced by these currents follows the same wave pattern, the two sine waves can be thought of as the waveforms of the electro magnetism produced by the two windings. As the alternations in current (and magnetism) continue, the position of the north and south poles changes in what appears to be a clockwise rotation. At the same time the rotating field cuts the squirrel cage conductors of the rotor and induces a current in them. This current creates magnetic poles in the rotor, which interact with the poles of the stator rotating magnetic field to produce motor torque. Once the motor is running, the starting winding must be removed from the circuit. Since the starting winding is of a smaller gauge size, continuous current through it would cause the winding to burn out. Either a mechanical centrifugal or electronic solid-state switch may be used to automatically disconnect the starting winding from the circuit. The operation of a centrifugal type switch is illustrated. It consists of a centrifugal mechanism, which rotates on the motor shaft and interacts with a fixed stationary switch whose contacts are connected in series with the start winding. When the motor approaches its normal operating speed, centrifugal force overcomes the spring force, allowing the contacts to open and disconnect the starting winding from the power source; the motor then continues operating solely on its running winding. Motors using such a centrifugal switch make a distinct clicking noise when starting and stopping as the centrifugal switch opens and closes. The centrifugal switch can be a source of trouble if it fails to operate properly. Should the switch fail to close when the motor stops, the starting winding circuit will be open. As a result, when the motor circuit is again energized, the motor won't turn but will simply produce a low humming sound. 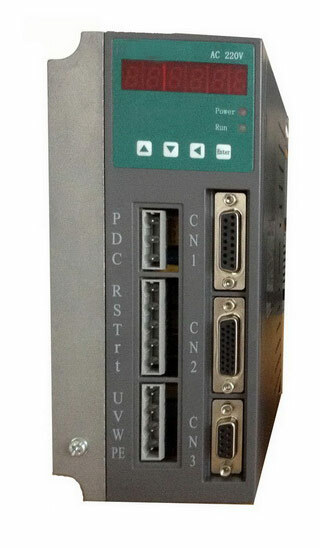 Normally the starting winding is designed for operation across line voltage for only a short interval during starting. Failure of the centrifugal switch to open within a few seconds of starting may cause the starting winding to char or burn out. The split-phase induction motor is the simplest and most common type of single phase motor. Its simple design makes it typically less expensive than other single phase motor types. 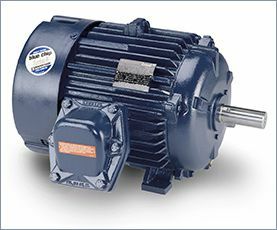 Split-phase motors are considered to have low or moderate starting torque. Typical sizes range up to about ½ horsepower. Reversing the leads to either the start or run windings, but not to both, changes the direction of rotation of a split-phase motor. Popular applications of split-phase motors include fans, blowers, office machines, and tools such as small saws or drill presses where the load is applied after the motor has obtained its operating speed. Dual-voltage split-phase motors have leads that allow external connection for different line voltages. Ill. 46 shows a NEMA-standard single-phase motor with dual-voltage run windings. When the motor is operated at low voltage, the two run windings and the start winding are all connected in parallel. For high-voltage operation, the two run windings connect in series and the start winding is connected in parallel with one of the run windings.